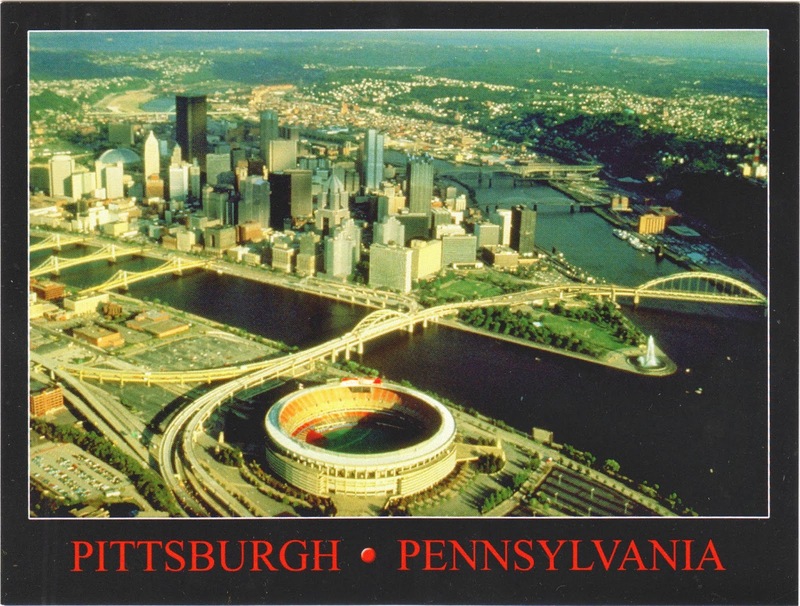 Postcard US-2552376 traveling to Germany shows Three Rivers Stadium in Pittsburgh, Pennsylvania from 1970 to 2000. It was a multi-purpose stadium for the Pittsburgh Pirates (MLB) and the Pittsburgh Steelers (NFL). The stadium opened on July 16, 1970 when the Pirates played their first game. The last game in the stadium was won by the Steelers on December 16, 2000. Three Rivers Stadium was closed in 2000 and imploded in 2001, after new stadiums: Pirates' PNC Park and the Steelers' Heinz Field was build.